A New Map of Denmark and Holstein. 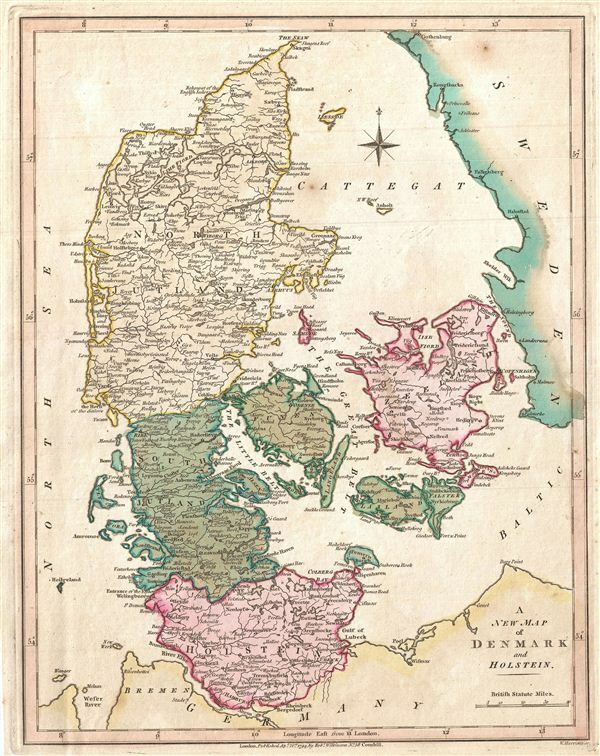 A finely detailed first edition 1794 map of Denmark and Holstein, by Robert Wilkinson. Denmark prospered greatly in the last decades of the 18th century because its neutral status allowed it to trade with both sides in the many contemporary wars. In the Napoleonic Wars, Denmark originally tried to pursue a policy of neutrality to continue the lucrative trade with both France and Great Britain and joined the League of Armed Neutrality with Russia, Sweden and Prussia.